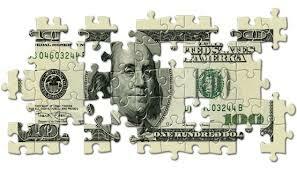 Are you wasting money filing patents? I’ve been working with early stage companies and their intellectual property protection plans for years. But only recently did I read a clear document on the risks and rewards of patent strategy. Thanks to Russ Krajec, a patent attorney, for the quick improvement in my education, here are some important points to consider when thinking of your patent strategy. 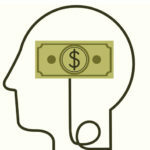 What is the true cost of patenting an idea? First, know that the $16,000 average cost of research and filing a patent is only the start, even if your patent application is not opposed or even if the examiner is reasonably receptive to your brilliant idea. The true average cost of a single patent over the twenty years of its legal life is $56,000, when you consider all costs beyond the initial application process. That’s a lot of money for a startup, and it multiplies quickly when your patent is published for comment or opposition or the examiner continues to deny claims. Do you let the world know your innermost secrets? And what do you get for this? You reveal to the world the essence of your brilliant idea for all to find work-around methods of accomplishing the same ends. Sometime, simply keeping the trade secret through non-disclosure and confidentiality agreements would be a better service to your idea than a patent. And that’s just about free. And private. So, a patent could be damaging to the startup, not a barrier to entry. We investors often ask: “What’s the patent protection?” as if that would be a guarantee of value, especially for companies in the technology field. Well, there is more to it than that. Shame on us investors for not knowing all the pitfalls involved. [Email readers, continue here…] It is important to note that patents are useful only if they satisfy two requirements: that they protect the brilliant invention you create, and that they are commercially viable in the marketplace. A great idea often never succeeds in the marketplace. Yet, we investors often ask about patent protection before the product or idea is even tested in the market. How soon must we file a patent to be protected? 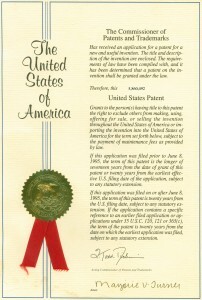 The United States Patent Office allows a full year after first introduction into the market for the patent to be filed. 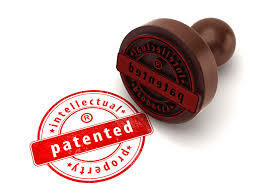 Most of us believed that the patent filing is required before introducing the idea to the marketplace. That is still true in Europe, but not here. Surprise. And then, many of us investors suggest provisional patent filings as the answer. After all, they give you an additional year of protection at a minimal cost. But did you know that no-one reads the provisional patent at the Patent Office? With the grace year, it would be better to spend the money and time filing the real thing after initial reactions from the marketplace, no matter how limited. The core of any patent? Then there are the claims that are the core of any patent. Most inventors want to explain the patent fully in its description, paying less attention to the claims. Here’s another blockbusting piece of news. The description is not a legal part of the protection and could even be used to glean more information from you by a competitor than you ever intended. It is the individual claims that form the entire legal basis for protection. And claims must be written with precision, backed by significant research as to other patents which may come close but do not infringe upon each claim. As I have learned form one of my companies and its decade-long fight to enforce a single patent, one word can make the difference between ultimate acceptance by the examiner and then winning a patent infringement suit when that time comes. Whew. Patents have made people and companies rich. They have protected their right to their inventions. Patents have allowed companies to spend up to five percent of their gross revenue on research and development. Patents have provided a long, rich royalty stream for inventors. Patents protect inventions in many countries. Without patent protection spending on research would be lower, the possibility of theft of ideas even greater, and many would be poorer than without the patent system. Properly used, patents are an excellent defense for inventors. 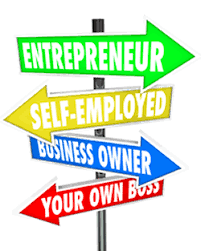 Do you want to control your business destiny? There is nothing quite as thrilling in business as igniting a startup and watching it blossom. Especially when starting a company with personal savings or money from relatives and friends, early signs of success are intoxicating. 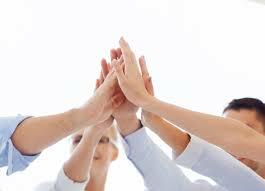 Each new customer, each mention in the press or online adds to the feeling of early accomplishment. And it is more satisfying because it is yours, from idea to execution. But the excitement begins much earlier. 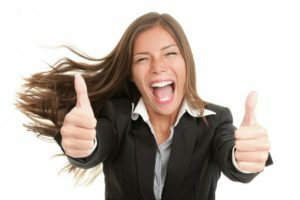 With newfound freedom to make independent decisions about finding a company name, where to locate the company, whether to lease an office or start from home, how to engage talent, even whether to provide free coffee to employees, the newly minted entrepreneur can only think of positive thoughts and great outcomes. Do you ignore the warnings of experts? This moment is not to be spoiled by such mundane warnings from advisors or consultants to plan carefully, research the market and competition, and execute the plan with tenacity and enthusiasm. This moment is to be enjoyed for what it is: the ignition point in which the dream becomes a reality and anything is possible. [Email readers, continue here…] This moment is to celebrate every action, including shopping for supplies, furniture and technology to support the newly minted enterprise. There is never again going to be such a pristine, simple, problem-free time in the life of this business. Relish the experience of creation. Celebrate each important “first,” including the first customer order, the first day in a new office, the first new employee hired, the first earned dollar actually deposited into the bank account. Because it is yours to write alone, there is no Hollywood script more thrilling than the one you create during those first days when everything is so very new. The most satisfying life journey is never about the money. As I look back over more than fifty years as an entrepreneur, I can think of the financial focus of my three entrepreneurial businesses as a prime driver in my life during the early stage of each. And yet, as I recall the greatest thrills, the memorable events, the best of memories, almost none are about the money. 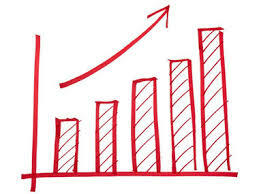 The stories of people rising to the occasion, victories in the form of great sale successes, great continuing relationships, occasional awards from valued industry or academic institutions, being able to give back to those who appreciate the gift of time or money – all seem to rise well above the feeling recalled about the check or wire transfer that represented a completed sale of a company. [Email readers, continue here…] I found one of my joys in angel investing, putting money to work by investing time and money into promising young entrepreneurs much like I once was, coaching them, putting them together with others who have needed skills, helping to build someone else’s dream. If you are in such a good place in your life, find a local angel investing group by navigating to www.angelcapitalassociation.org and clicking on “Find Angels.” You will find such a group near enough to drive to their periodic meetings. You’ll quickly be drawn into the governance of the organization and introduced into the process of discovery, coaching, leading deals, herding investors, serving on boards and helping entrepreneurs toward liquidity events. I found another joy in community organizations, joining a total of four non-profit boards, learning at first much more than I could teach, but rising over the years to leadership positions with large psychic rewards along each step of the way. And then there is family. Be honest with yourself. Have you ever spent enough time with your family? Can you ever spend enough? Isn’t it time to try? It may take you some time to come to this conclusion. But your most satisfying life journey will never be about the money. Money is not the only measure of success. 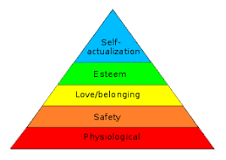 I am sure you heard of Maslow’s Hierarchy of Needs that motivate our behavior, in which Abraham Maslow laid out a human’s needs – from the physiological, to safety, then love and belonging, on to esteem and finally self-actualization. A little too esoteric for you? Let’s make it more personal. If you have now passed through the mind-numbing process of a successful sale of your company and the money is in the bank, enough to satisfy your needs, if not much more, then you have arrived at the point where you can think about love, belonging, esteem and self-actualization. But wait, there’s more. More to look forward to. And that is the subject of this short insight. During our business formation years, we pay much more attention to our growing enterprise than we know we should, surely at the expense of family and community. There are few exceptions – few among us who have built businesses and kept that work-life balance in check in the process. [Email readers, continue here…] So, if that day does come when you have sold the business or come into a financial windfall, I propose that there are few times in life when the opportunity opens to look outward, to participate in charity events, extended family vacations, community boards, and even coaching other entrepreneurs. If you ever have that opportunity to experience the simple power of having few personal worries, you will have known the freedom of choice that allows you to reinvent yourself, dividing your attention between people and organizations outside of your previous circles. How empowering. And how many organizations need management skills and relationships such as those you could bring, along perhaps with a new focus upon philanthropy. Back to Maslow, stretching his concept to include financial comfort… Beyond some point, whatever that is for you, money is not the only measure of success. Why not share your liquidity success with those who got you there? So, you are close to selling your company, and counting the profits a bit early. Well, that’s human nature. Here’s a thought for you to recall later when and if the event happens. Remember those who got you there. And for tax reasons, remember them before the closing of the deal, so that you can do so by sharing a bit of your proceeds without paying personal income tax upon those amounts. Some companies, especially those financed by angel or VC investors, have good, formal stock option plans with properly priced options set to reward all employees and managers in the event of a corporate sale. Usually, the higher the ranks, the more the options held and therefore the greater reward at exit. If there have never been outside investors to organize such an option program, many CEOs never get around to creating a system for rewarding employees in a sale. I found myself in such a situation upon a sale of my computer software company. There was no question that each of the five vice presidents had been greatly responsible for our success and getting us to the successful exit. Yet there was no formal reward in place other than the employee stock ownership program (ESOP) which was set to pay all employees for their accumulated shares at the exit. So, I wrote into the final distribution instructions a surprise five figure bonus for each of the five executives. Each was surprised, pleased and effusive. Upon reflection, I should have given each even more. [ Email readers, continue here…] Now, there are three kinds of exits. Those that pay off handsomely (congratulations if so), those marginal exits that selvage technology, brand and jobs – better than nothing. And those that are total write-offs in which no one except perhaps the bank and lenders receive anything. The marginal exit is most difficult, and it would be rare for an entrepreneur to willingly share with other managers. But the exit we celebrate, the one where the returns will change our lifestyle, are the exits where the founders with the most gains should consider how they got to this point. We should all recognize that we did not do it alone, and that even generous stock options may not well-enough reward those who are direct reports and have done the most amount of heavy lifting. Why not consider a surprise addition to the payout from your (perhaps) most-generous portion for those important contributors to success? It is rewarding and more than fair to share the success with those who got you there. Everyone wants to leave a legacy. Be honest now. 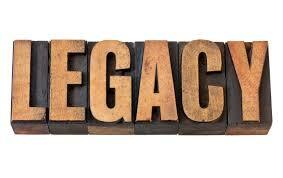 Have you ever thought of what legacy you’ll leave behind? If you are an entrepreneur or CEO, surely you’ve thought of how you’ll be remembered by your associates and stakeholders after you move on. We’ve all heard the stories of tough SOB bosses that took advantage of employees, vendors, even stock holders. And such stories do get around. How many people who know those stories are willing to trust their next chapter to that person’s next act? I did not know for many years, until a most successful reunion planned by my former executives bringing back over a hundred past employees, how much that and other signs of respect and dignity for the employee-associate made our workplace rare and desirable. That is a legacy you cannot buy, at a cost of acknowledging individuals with respect and personal recognition. And what do I remember about that ten-plus year experience, among the thrills of rapid growth, great workplace, and great lucrative exit? Most of all, it is those personal moments of contact with former employees, each recalling with appreciation their time at our company. Take advantage of the good times to build stakeholder loyalty. 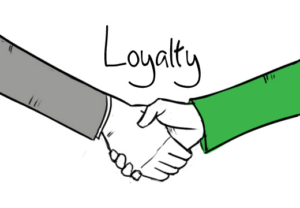 There are several times when stakeholder loyalty is tested to the limit. For employees, a late or missed payroll is the ultimate test of corporate loyalty, divorced even from an employee’s ability to make do without a paycheck. For investors, a subsequent down round at a lower valuation than the last, or an exit opportunity at a loss are all opportunities for the affected stakeholder to show a side that can sometimes shock an entrepreneur or CEO. Managers almost always believe that stakeholders understand the pressures of the business and the circumstance of the present. The truth is that many employees merely make a simple pact: timely pay for time in service. If there is no closer connection to the corporation, when times are tough for any reason, it is these employees that make it tough for management to gain understanding and consent for actions that must be made such as missing payrolls, making layoffs, or abandoning pre-announced plans. And it is that disconnected employee, usually one or more of the better performers, that starts looking for a job when times look bad for a company. [Email readers, continue here…] Sometimes a secondary fund-raising effort leads to a lower valuation than the last. Although the investment documents from the previous round call for each investor group to vote as a class for or against new rounds of funding, in a contentious environment even a company in desperate need of new funding may find itself warring with its investors. I have seen investors allow a company to die, rather than suffer the massive dilution of an offer by a new investor. And I have seen good offers from buyers of a company blocked by investors whose vote is needed to enable any such transaction, usually because these later investors would have a less-than-stellar exit with the sale, even if the founders would make out extremely well. That one hurts early investors and founders more than perhaps any other action by investors. The message here is simple. By keeping stakeholders close with constant information as to the progress and even stressful setbacks, and by never withholding bad news, stakeholders will be in a much better position to understand necessary actions by senior management and accede to decisions made in the best interest of the company, even at the expense of self. This kind of loyalty is never created during the bad times when everyone is thinking only of protecting self. Take advantage of the good times to build such loyalty. Can we have fun while doing serious work? Have you ever noticed how slow time passes when you are in a troubled environment? Conversely, sometimes you look up at the end of a great day and wonder where the time went. Over the years, I have discovered that the difference is not just applicable to the good times, but to the environment, created by the senior executives, that filters throughout the organization. 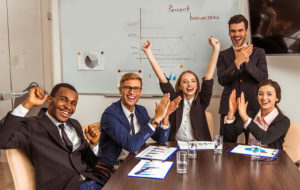 Every time, a corporate work culture encouraging humor causes employees to enjoy their work, spend more time with associates, and laugh many more times through the day. At one point in our mutual careers, my brother located his growing architectural practice just a mile from my record company in West Hollywood, California. I would visit his office and immediately notice an atmosphere of “joyous creativity” throughout the organization. Every cubicle was decorated with whimsical drawings, posters, kid’s creativity, and more. As I walked through the facility, I could hear laughter emanating from cubicles, almost constant as a background song of simple joy at work. [Email readers, continue here…] Those visits were wonderful times to recharge my batteries, and I was not even a part of the company. Imagine how they affected the attitude and creativity of those working there. Think of how clients loved to associate with their counterparts in such an environment. Try as I could to reproduce such an environment, my company was too spread out, the background noises of manufacturing too loud to make the same environment possible. The best I could do was touch individuals and small groups with that same joy of the journey, adding humorous opportunities for lightening up as often as possible. But after all these years, I will never forget the magic of that architectural office, and how much everyone there wanted not to let it ever slip away. Take every opportunity to lighten up, to ease the often-self-imposed pressures of constant work, to unlock more of the creativity of your workforce through the use of appropriate humor. What a lift that brings. 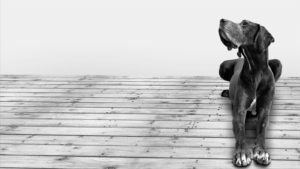 Will your company’s sale be celebration or silence? I’ve been involved with well over twenty successful exits and four initial public offerings over the years, some of them with monstrous gains, some more modest. Then in addition, there are the exits that returned some portion of capital, but nothing more. And finally, there are the thirty-plus sad exits that were complete write-offs for the investors, sometimes regaining some portion of note-holder or creditor money in the process. I can tell you with great enthusiasm that the high gain exits are by far the most enjoyable in every way. There’s almost always a closing party where the board, prime investors, attorneys and investment bankers all get together to celebrate the victory. It is an exhilarating ending to a great journey. The entrepreneur, whether remaining to the end as CEO or not, is celebrated for his or her prescient timing, great vision and excellent execution of the plan. We even themed one such exit party as “We stuck the pig!” – the overly enthusiastic celebration of an outcome larger than expected. I cannot recall ever attending a closing dinner for a sale in which we returned only a portion of the investor group’s money. In fact, I don’t recall any formal post-sale meeting at all; even to digest the lessons learned from the entire experience, a missed opportunity for all. [Email readers, continue here…] There is that sad truth that the large percentage of early stage investments die an unceremonious death, often with the entrepreneur-founder left with a bitter feeling that “if only” there had been more cash invested, more co-operation from board members, more time to get to market, more of something, then the outcome would have been much better for all. Sometimes the entrepreneur who believes s/he has failed the investors apologizes. And sometimes s/he lashes out at the inequity of it all. That’s a shame, and a missed opportunity for a learning experience for the entrepreneur and investors. 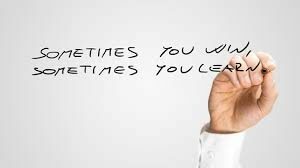 Every failure creates a story with a lesson to learn. That story should be told, lessons evaluated, and added to the experience base for all who participated. Because, many of us investors will give a bonus instead of a pass when considering a second startup from the ashes of a failed team. It is not likely that they’ll make the same mistake twice. And usually, such an entrepreneur is more careful with the use of cash and time the next time around. Of course, a “big hit” successful outcome is preferable for all. But more importantly, a good exit marks a passing of a successful journey by a team first formed by a visionary entrepreneur, usually attracting smart money from good investors, who together effectively planned growth and finally a great exit. Whenever those forces come together, celebrate them and the team that brought them all together. 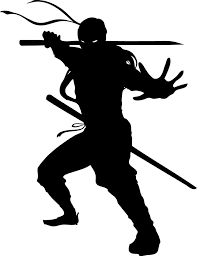 Another personal story: Timing is everything in a sale. Almost anyone who has sold a company has a story to tell about their good deal, the problems with the buyer, a last-minute change of terms, or more. I have saved this next story until now because it is one of my favorites, and certainly illustrates the point about timing being a combination of luck and skill as well as anything I could devise from fiction. I promised to come and see him at his office the very next week. What I discovered was a contradiction that was too intriguing to ignore. The company of eight was engaged in web design, which, early in the growth of middle-sized business on the web, was hot at the time. And yes, his partner had a valid suit, having been locked out of the web-design business and denied access to decisions and accounting information. But the real asset became obvious to me at almost exactly five PM that day, when all eight stopped what they were doing and began using a tool they had licensed from a Florida company to find other Internet gamers to join them in playing intense first party shooter games over the ‘net. The tool it turns out had been posted on the company’s website and downloaded by over a million gamers – a big number at the time when – just a few years earlier, AOL had passed its first million users. Over a million of these gamers clicked to the company’s game web site each month for new information and to form an early Internet game community. The company made little effort to charge for the software or community. Microsoft had just bought Hotmail for $9 per registered user; AOL had just bought ICQ for $40 per registered user. And here were over a million users, with no apparent value to the web designers, except as a community of friends with similar interests. [Email readers, continue here…] I did forget to tell you that on that day looking into the company’s books I discovered that neither the company nor its founder had filed Federal income tax returns during the three years in business, didn’t I? And there were other quite obvious problems, unattended to, along with the partner’s suit hanging over their heads. I immediately agreed to come aboard at no cost to clean up the corporation, deferring my investment until that was done. I negotiated a settlement with the partner for $100 thousand which I paid, then filed all of the overdue tax returns of various types, and cleaned up the books. Offering to reincorporate the game company as a new entity to avoid any more surprises, the entrepreneur and I negotiated 10% for my $100 thousand, with the remaining 90% for the founder. In addition, I loaned the new company $150 thousand for working capital. 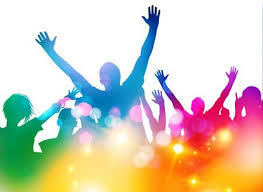 By this time there were not one but four million registered users. Within three months, we easily obtained $3 million of investment at a pre-money valuation of $30 million. Can you begin to tell that this is a story of timing, and of the Internet bubble? Three months later, another investor company in the business offered to invest $3 million at a valuation of $60 million. Two months after that, a French game company offered $1.5 million at a valuation of $80 million. Of course, we took all of these. We now jump forward to February 2000, 14 months after formation of the company. Another major competitor in the industry, directly competing with one of our investors, offered $140 million for 49% of the company in a combination of equal cash and stock in its public entity, valuing the $1 million company at $285 million just a little after a year from incorporation. Fast forward a month to a meeting between a senior executive of the buyer, our hero the entrepreneur, our corporate attorney and myself. It became obvious during that meeting that the buyer intended to operate the company as if it alone was the owner-manager. Our entrepreneur balked at the boldness of that statement. Everyone withdrew to consider a response. And so, a mere month before the crash of the Internet bubble, the buyer withdrew the offer. Even if some of us were unhappy with what was almost a home run opportunity lost, we went back to the work of building the company value. And a month later the Internet bubble burst. It took almost four years to sell the company for over $60 million, not at all a bad outcome for us founders and the early shareholders. And I do need to note that the entrepreneur in the meantime became a model executive of our still-growing company, much more mature and understanding of market forces than that fateful day in February 2000. Could I have found a better example of “Timing is everything”? The lesson: Look for cycles in your business and in the marketplace. There are natural high points in one or both that may not be obvious until looking back. But they occur often enough to watch for and take advantage of if ready to make the run for a liquidity event. What’s the minimum information to give your investors? Can you overcome five risks and create wealth? Would you sign a personal guarantee if you have investors?